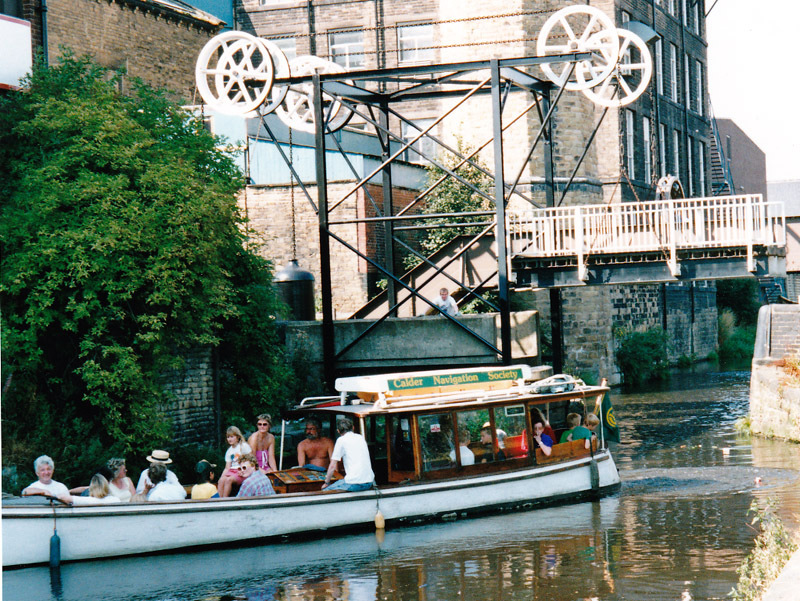 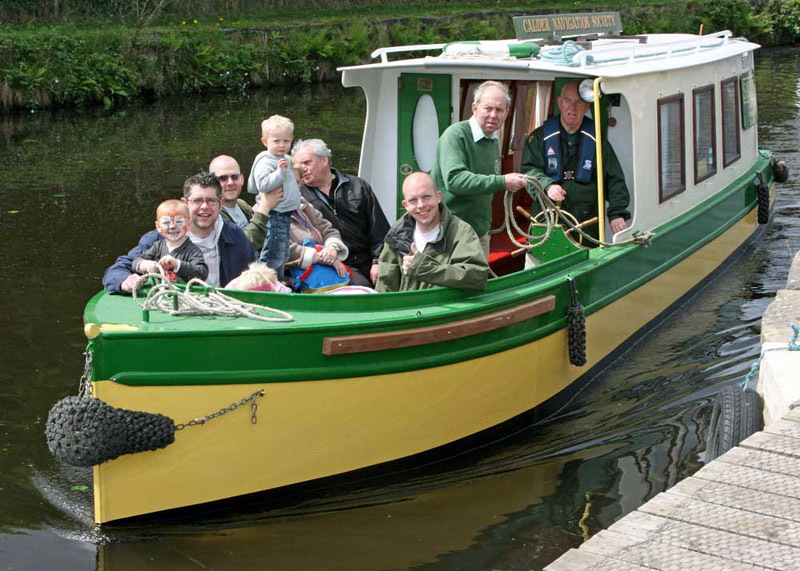 The Society owns a trip boat called "Savile", based at South Pennine Boat Club in Battyeford (Mirfield), which is used to promote CNS on local waterways. She is a 32 foot craft echoing the style of her predecessor "Doreen", a historic wooden Windermere launch. 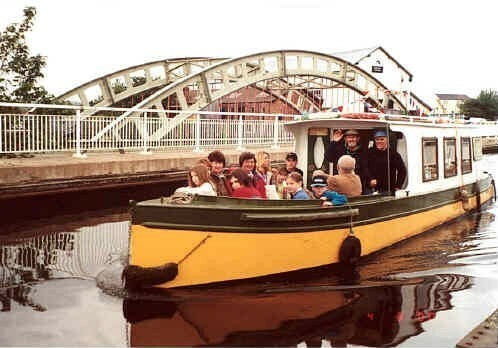 She was custom built in 1995 by Tayberg Steel Boats of Brighouse, and operates short trips at waterways events to give the public a little taste of their local canal scene. CNS is a registered charity and a non profit organisation and all of our crew are volunteers. 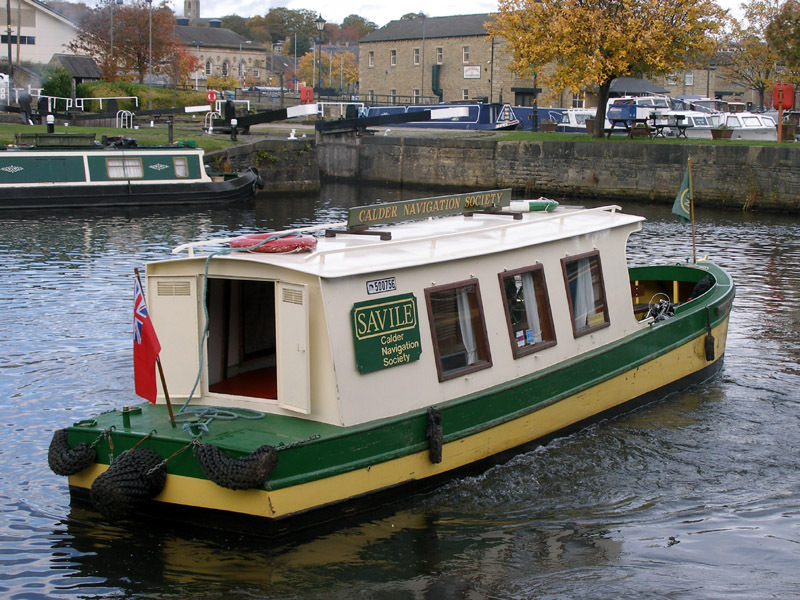 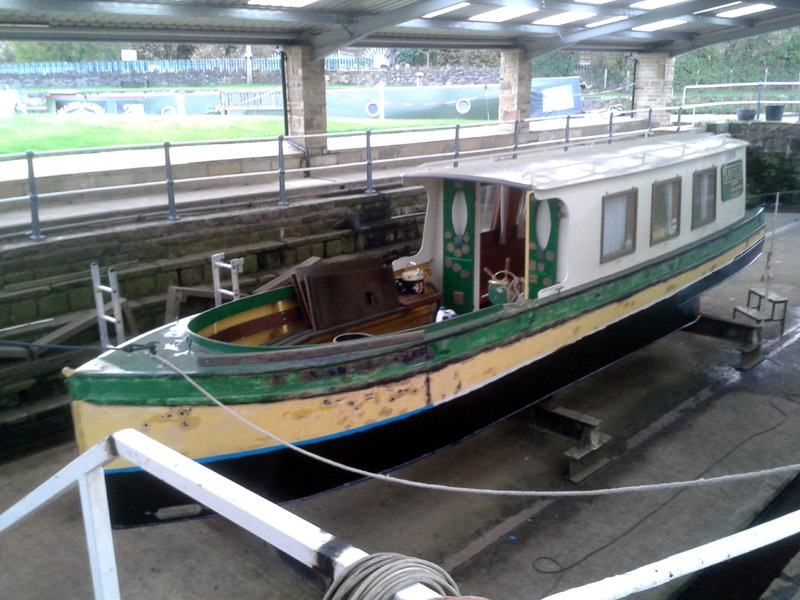 All monies generated from Savile donations goes towards her upkeep, providing fuel, license, insurance and maintenance costs for her to remain on the Calder Valley Navigation system to promote the use of our waterways for all to enjoy. Savile can also be made available for private trips of up to 12 passengers at any one time. 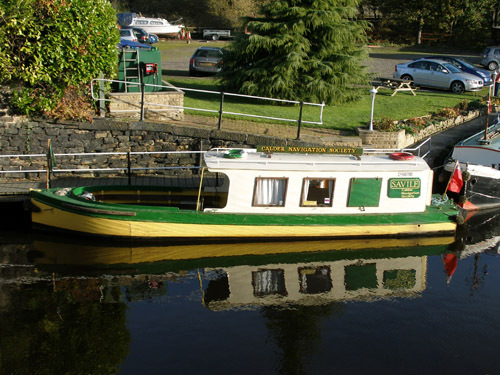 For further information see our bookings page. .
You can follow Savile's Travels by looking at the Events page.